Click the button below to add the CV clamp kit (10 piece) to your wish list. The minute you start lifting an IFS front end, you better keep a close eye on the CV boots! OEM CV boot bands work fine at stock ride height but after being in that position for 8-10 years, they are exposed to a great deal of new stress from the increased angles a lift produces. 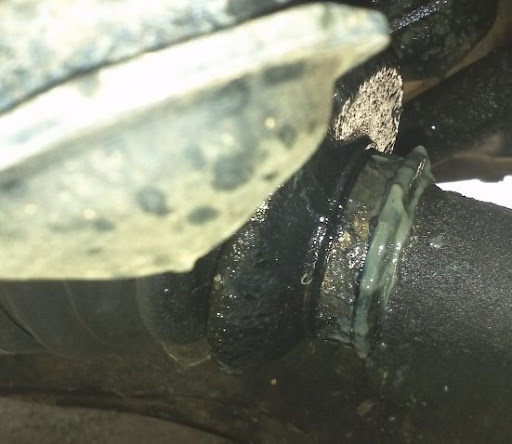 OEM bands can not be tightened so if grease is starting to seep past the boot, it is only a matter of time before you will experience a CV joint failure. This is definitely a case where an ounce of prevention is worth a pound of cure. Once the joint fails you are looking at a $400-650 repair. The best solution is to replace the worn and tired clamps with bands that are strong, durable, safe to use on the soft rubber of the CV boot and adjustable. McMaster-Carr bands made for soft rubber are the best possible clamps for this application. CV-10 (10 pcs) 4 large, 4 small clamps (plus 1 lg and 1 sm for use as spares/recovery gear). This is enough to re-band both axles and still have a spare of each. With simple tools, both axles can be re-clamped in about 1 1/2 hrs. Clamps have been on a for over a week and so far so good! Love that I can put these on with only a screw driver. Didn't need to disassemble anything, except for taking the wheel off. The old clamps came off easily with a screw-driver to pry the tabs open. Its also easy to peel the boot off a little and inject some more CV grease if needed. A good preventative maintenance step. Ordered these online and they were here way before expected. I haven't put them on yet but they look like very good quality bands. I went to the Toyota dealership to install the boot clamps and when they tried to tighten them they simply slip. I'm really disappointed with this product. We have sold 100s of these kits (I even run them on my 100 Series) and feedback has been overwhelmingly positive. We even have Toyota dealerships ordering from us. Perhaps your bands were not installed correctly. Please contact support@pfranleds.com for further support. Thanks! Product was exactly as described. I haven't used the clamps yet, they were bought as a pre-emptive measure. They are good quality though and I'm sure they will do the job. Fast shipping and easy. I even messed up my shipping address when I ordered, PFRAN picked it up and helped me fix it stat, with very personal and quick service. I have never seen clamps with such attention to detail and engineering. Just like the Land Cruiser itself, it should last forever! 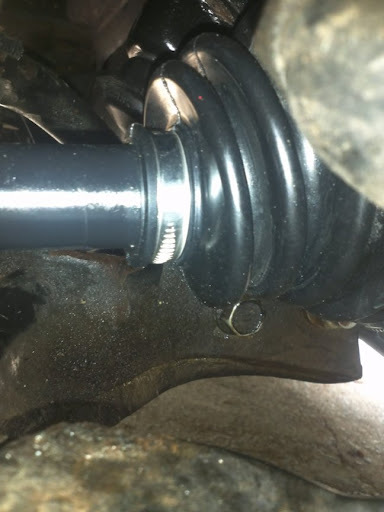 Didn't trust my ability to get the seal right of the CV joints for a LX470 - a look around the IH8MUD forum and found great reviews for this product. Now that I have actually installed the reboot kit I can confirm they work great - not to mention quick shipment and multiple e-mails letting me know status. If you are reading this because you are trying to decide, you can quit thinking, this is the real deal. What else can you ask for. Great product, great price, great customer service, and trusted by the MUD community. After returning from 100s In The Hills, a 4300 mile round-trip, I noticed the small clamps leaking on both boots. The boots appeared to be in great shape and there was no significant grease loss. These clamps are perfect for repairing the leak without rebuilding the CV Axle. Wish I would have started with these clamps first! I went to multiple auto parts stores trying to work a solution to clamp my 100's CV boots. I tried at least three different types of clamps with varying success. Should have started with these clamps first. Used one clamp to repair one seeping boot from the auto parts stores failing clamp without removing the CV axle. Fast delivery, Thanks! I should have ordered these sooner. No leaks after install. Thanks for the fast delivery.